FatCow was started in 1998 and has seen rapid growth over the last five years. During this period, FatCow was purchased by Endurance International and part of a major corporation backed by massive funding. 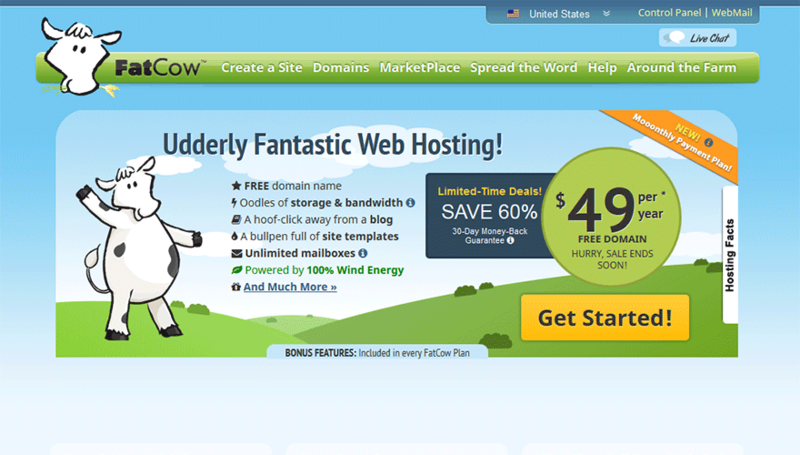 Fat Cow only offers shared web hosting with various addons available if needed. In this review, I’ll review their web hosting offering and will provide you with insight on this company so that you can make an informed decision about this web host. Have experience with FatCow? Awesome! Please click here and leave a review below! This video is an overview of Fat Cow web hosting including price, customer service, and more. Since Fat Cow only offers shared hosting, I’ll be discussing these options with you. The “Udderly Fantastic Web Hosting” plan includes essentially “unlimited everything” in that they do not set limits on their web hosting packages. Please refer to their documentation or ask them a question if you feel your website might use too many resources before joining as this is the #1 complaint I see when working with “unlimited everything” style web hosts. No monthly, 3 month, or six month prepay options available. Keep these prices in mind when ordering. Most people miss the “Special Introductory Rate” link when they click the Sign Up button. I want you to be prepared for your payments after your initial term ends. Fat Cow is an Endurance International brand and as such, this corporation has an A- rating with the BBB and is currently accredited. At the time of this review, they have had a total of 397 complaints and 114 were received in the last 12 months. At the BBB, they have 40 negative reviews and 3 positive reviews. Normal usage means that you operate a personal or small/medium-business Web site that utilizes resources in a manner similar to most of our other customers. For example, the system requirements of large corporations are not equal to those of small businesses and their resource requirements would not be considered normal for our architecture. Another example would be the storage of large numbers of video or audio files that may be associated with a Web site, but require more resources to support than a normal personal or business Web site would. That being said, with all of this information, I can safely say that if you run a busy site that makes a lot of queries to databases and essentially a heavy load website, you should not consider Fat Cow or any “unlimited host” for that matter. 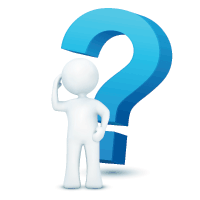 In fact, I’d suggest a VPS or Dedicated Server for these types of sites. Plan to start a small family blog or website that will have limited to medium-load traffic and you are on a tight budget? Then yes, absolutely, FatCow would be a perfect host for you because they are one of the cheapest solutions around. Is Fat Cow an ECommerce Hosting Solution? I don’t recommend this host for ECommerce hosting due to the stated resource limits and the nature of this type of hosting. ECommerce sites are more demanding of server resources and you should not be willing to subject your site to sudden termination with lost sales. I’d recommend a strong business hosting solution from InMotion Hosting or a host that has set limits in place such as A Small Orange or BurstNET that has set limits in place that will allow you to grow your business. 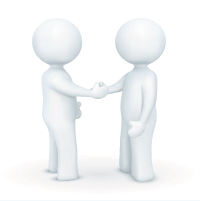 US-based toll-free telephone support for sales questions and technical support. Live chat (currently live but says they are experiencing high chat volume causing delays). No mention on availability times. Knowledgebase. Very limited and has what I’d consider a low amount of available topics. User guide (easier to use than the Knowledgebase). They currently do not offer a user discussion forum specific to the Fat Cow brand and there’s no publicly available status updates available. I’d like to see an updated blog with company developments added to the site. Endurance International has made strides over the last year or two to improve customer support by bringing the telephone support to USA. One of the largest complaints I’ve seen over the last years were related to not being able to understand support agents on the phone, which has definitely been fixed from what I’ve read. That being said, I’d only recommend this web host brand if you are just starting out with your first website and plan to “dabble” with it online. Any business venture that you think will explode in traffic and demand server resources should be hosted on a more premium brand in the $15-20 per month range. Please visit Fat Cow directly to verify current pricing and plan options.